Hi, I'm Debs. I'm a warm, down-to-earth and supportive individual and couples counsellor and supervisor with a natural interest in relationships, bereavement/loss and trauma, and how they can impact our lives; often more than we feel we can cope with. I'm interested in relationships between people because I recognise the importance of the need to connect with others, to meet our emotional needs and in everyday life; however, the complexities of characters, histories, and how some people relate can have negative as well as positive effects on us as a person in our own right. Relationships are quite some dance if we don't know the steps. I'm a person-centred counsellor, which means I trust in the belief that people are the best experts of themselves, and providing the optimum environment - based on trust, warmth, acceptance and non-judgement - will facilitate frank and open reflection, as well as a natural healing process and growth. I'm naturally open and friendly, with good intentions and a supportive nature. I know it's not easy to make the step into counselling, and I like to think my welcoming approach is helpful in alleviating any anxiety. Supervision Rates: £67.50 (90 minutes). Trained with a Diploma in the person-centred supervision approach, my focus is on my supervisees and their experience of themselves within their work and relationships with clients. I work from a place of trust in the practitioner – of their training, experience, and what they know of themselves and their clients - and whilst I recognise my responsibility for helping to maintain professional standards when supervising trainees, I remain encouraging and helpful of their own process, and the ongoing development of their understanding and self-belief as a qualifying counsellor. As a practitioner in any role I work collaboratively, but most of all relationally, because I fully believe in the depth and quality of relationships to encourage growth and inner confidence. I’m supportive by nature, and my personality is naturally warm and down-to-earth. From a professional perspective, I’m hugely principled and ethical in how I practice. As a therapist, I have a particular interest in relationships, bereavement and loss and also trauma, working with adult individuals and couples in private practice. My previous work skills also continue to transfer into my transition to full-time self-employed practitioner. 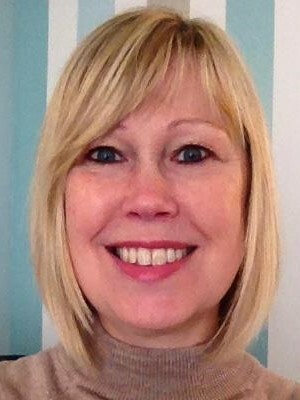 I have two decades of business management experience, as well as specialised working knowledge of the Mental Health Act and mental capacity, and experience of health records keeping and managing confidentiality; all of which informs me in practice as a counsellor, supervisor and therapy business owner. Please do get in touch if you’d like to discuss if and how we might work together in a supervisory relationship.